Big and small, quiet and loud, night and day... 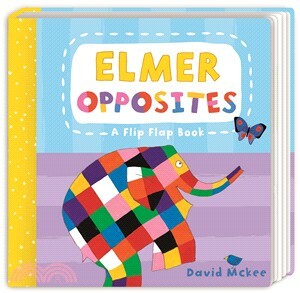 Learn first opposites with Elmer and his friends with this interactive board book specially designed for very young children. Match the opposites using the flip-flap pages! This simple but engaging format encourages conversation and play, so those little fingers can really get to grips with opposites. Great for enriching young readers' vocabulary in a fun and engaging way, this interactive book features bright illustrations and is the perfect introduction to the idea of opposites.